KARACHI: The local car assemblers project sales of about 300 imported new hybrid vehicles in 2014 which will cost the national exchequer $5-8 million. Indus Motor Company (IMC) and Honda Atlas Cars have unveiled imported hybrid cars this month to lure a narrow band of luxury car afficandos. Toyota Prius 1,800cc carries a retail price tag of Rs4.5 million including 17 per cent general sales tax (GST) and 37.5pc customs duty. After deducting 43pc duties and taxes, the price of Prius comes to Rs2.5 million or $24,000 based on one dollar valued at Rs106. One can easily calculate the total amount of foreign exchange spending of $2.4 to $4.8m per year in case 100-200 Prius cars find their way into the country on annual basis. 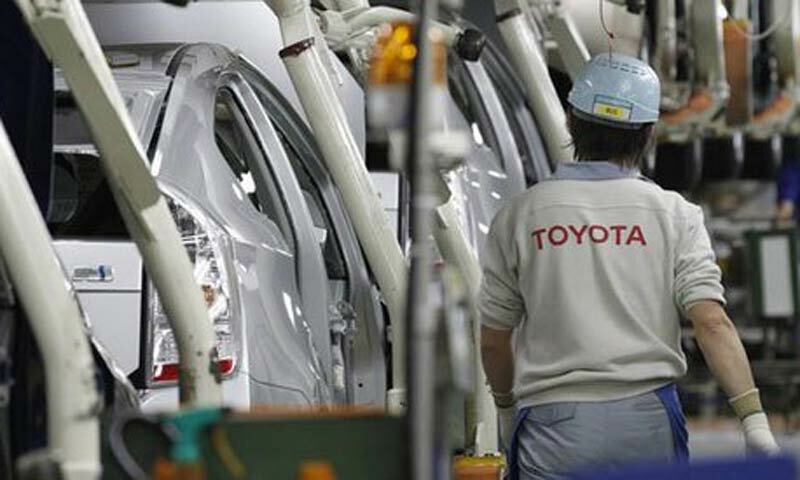 An official in IMC said the company has not finalised the quantity of hybrid cars that it intends to import next year. �The imports will be based on advance orders from the customers. In the current month, 14 Prius were imported and four vehicles have already been handed over to the buyers,� he added. Emphasising on the eco-friendly technology that will help in reducing high import bill of petrol, the overnment has encouraged the import of hybrid vehicles despite knowing that these cars would never be assembled locally due to very high prices and selected number of buyers. The battery expense of such a vehicle is around Rs500,000-600,000 and its life span is five years or 500,000 kilometres. Honda Atlas Cars had introduced CR-Z sports hybrid 1,500cc at a price of Rs3.3-3.5m. The brand new CR-Z in Japan is available at over $20,000 which means its price in local currency comes to over Rs2.1m if calculated at Rs106 per dollar value. On CR-Z, the government is also netting 30-40pc in terms of duties and taxes at retail price including 17pc GST which amounts to over Rs1m. Meanwhile, a dealer of Honda cars said that the import of Honda hybrid is unlikely to cross 100 units a year due to very high price. In budget 2013-14, the government has put import duty and sales tax on hybrid cars up to 1,200cc at zero per cent sales tax while there was 50pc off in duty on hybrid cars from 1,201-1,800cc followed by 25pc off in 1,801-2,500cc.